This set of photos was taken on January 16, 2013 at 3:40pm. The "Take It!" came from finally figuring out an answer to something that had been bedeviling me for many months. I rarely engage in " Why didn't I think of that earlier " type of thoughts - but on this I have to confess I gave it just a little bit of time along with the thanks that comes from discovering and answer to a problem. The top photo shows the overhead light found in my Toyota Solara. I constantly use this light in whatever vehicle I am in as I make time entries in a log book that I carry with me as I do my work. I start before the sun comes up, no matter what the season. 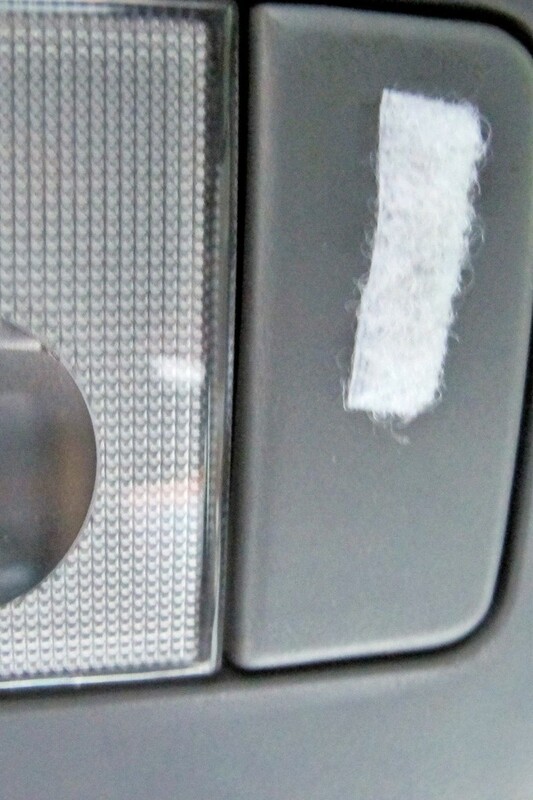 In my Honda Element - there are indentations in the plastic that are deep enough for my finger to find the appropriate light switch to push, even in the dark. The Toyota is another matter. 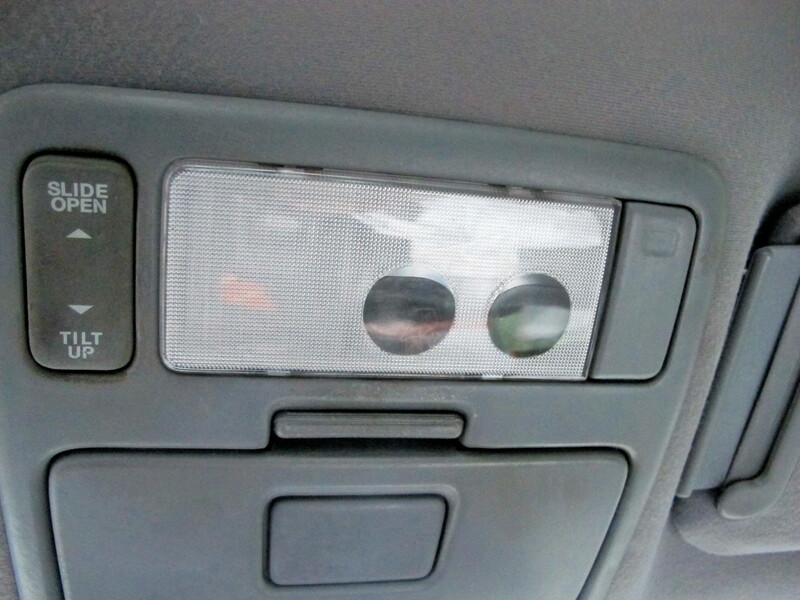 The Solara has a rather flat panel which includes the lights and proceeds from left to right with very little change to facilitate the finding of the switch in the dark. After months of hit or miss (mainly miss - lol) I thought up the answer which is shown in the lower photo. The placement of just a small strip of Velcro on to the surface of the light switch ended the problem. I used the soft side of the Velcro strip rather than the spikey side in order to save my finger. There was the answer - just as simple as that. A sort of " if there is not a sign for where you want to go - then make one up, for the benefit of not only yourself, but others as well". I know this is not a photo set of something that is a wow to see - but hopefully it will be something you can use for yourself or as a suggestion for others. In showing this solution to others - they often get a look in their eye that tells me - they are putting the concept away in their mind for when it will provide an answer for them as well. May all the answers come easily to you. Hey that is a really good idea. My brothers new car has voice activated lights, oh to be rich. Ya, so i gotta make a run to the store now to get some of that. Too good an idea to pass up. How'd you come up with that one? Many thanks for the kind comments. I hope there may be an application of this that worked for me - that will work for you. Ray: Thanks for the question. I honestly do not know how I think up things - nor how I arrive at viewing some matters the way I do. I enjoy problem solving and seeing things in a different light. I think I have been doing it long enough now - to call it an enjoyable hobby.